Look what exotic locations I get to work in. There’s a water skier there somewhere. Shame the light wasn’t good. 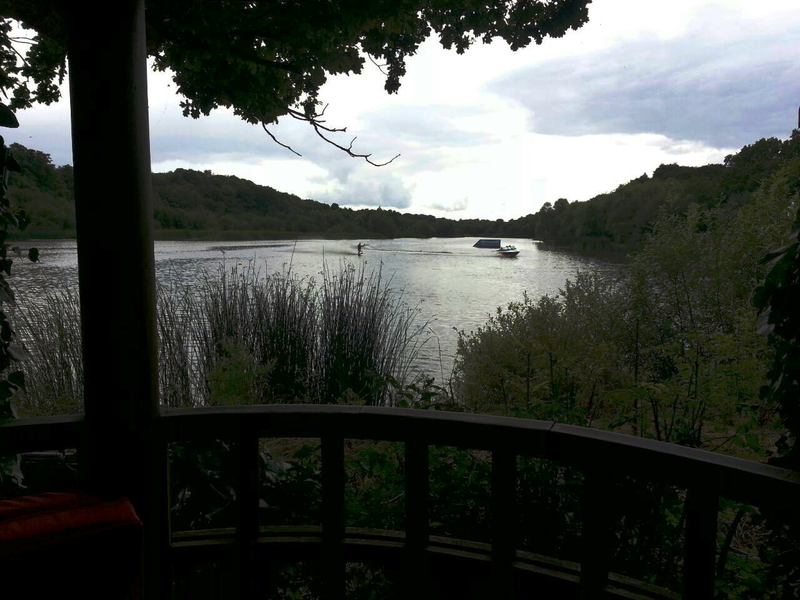 I was wiring a gazebo-come-wigwam-come-wendy house-cozy-seating-round-a-table thingy (yes – that is the official technical name) at a pub right by a lake. This entry was posted in Electrical service, Recent jobs and tagged electrician, gazebo, lake, water ski, wiring.